The problem of ontology alignment is based on finding mappings between instances, concepts and relations of two ontologies which (following Gruber’s work ) can be defined as explicit specification of decomposition of some part of reality. This specification spreads over three levels of detail: the concept attribute level, the concept level and the relation level. 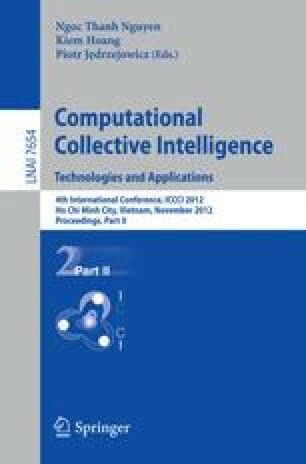 This paper concentrates on identifying matches between relations of concepts which describe how these entities interact with each other. After careful analysis we have noticed that this level can be a source of many inconsistencies when two ontologies are blindly integrated. We take our work on attribute-based concept alignment and the consensus theory as a starting point. We extend it to handle the issues that appear when aligning relations. We give formal definitions along with careful formalization of set of requirements that eventual mapping algorithm should satisfy in order to reliably designate matches between ontologies on relation level.